You will find below the horoscope of Esther Rochon with her interactive chart, an excerpt of her astrological portrait and her planetary dominants. If you know the time of birth of Esther Rochon, we would appreciate it if you would send us your information with your source, at stars@astrotheme.com. To thank you for contributing to the enhancement of our astrological database, we shall be glad to send you the astrological portrait (34 pages) of this celebrity. Horoscopes having the same aspect Mars square Jupiter (orb 3°27'): Brad Pitt, Zayn Malik, Robin Williams, Vincent van Gogh, Robbie Williams, Marie Curie, Henry VIII of England, Indira Gandhi, Dakota Johnson, Layne Staley, Claudia Cardinale, Diane Keaton... Find all the celebrities having this aspect. Horoscopes having the same aspect Mercury conjunction Uranus (orb 3°37'): Leonardo DiCaprio, Keanu Reeves, Joaquin Phoenix, Vanessa Hudgens, Alessandro Del Piero, LeBron James, Simone de Beauvoir, Simone Signoret, Mac Miller, Jacques Brel, Eva Braun, Jack Black... Find all the celebrities having this aspect. Celebrities clicked on in real-time: 576,480,409 times. Esther Rochon (née Blackburn) (born 27 June 1948) is a Canadian science fiction writer. Born in Quebec City, Quebec, the daughter of screenwriter Marthe Blackburn and composer Maurice Blackburn, at the age of 16 she won the Governor General First Prize for a short story in the Young Author's contest of Radio Canada. Rochon studied Mathematics at the Université de Montréal. She has won the Quebec Science Fiction Fantasy Grand Prix four times. Here are some character traits from Esther Rochon's birth chart. This description is far from being comprehensive but it can shed light on his/her personality, which is still interesting for professional astrologers or astrology lovers. 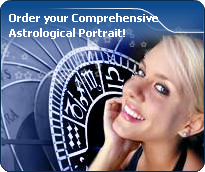 In a matter of minutes, you can get at your email address your astrological portrait (approximately 32 pages), a much more comprehensive report than this portrait of Esther Rochon. Warning: when the birth time is unknown, which is the case for Esther Rochon, a few paragraphs become irrelevant; distributions in hemispheres and quadrants are meaningless, so are dominant houses and houses' accentuations. Therefore, some chapters are removed from this part. The predominance of Water signs indicates high sensitivity and elevation through feelings, Esther Rochon. Your heart and your emotions are your driving forces, and you can't do anything on Earth if you don't feel a strong affective charge (as a matter of fact, the word "feeling" is essential in your psychology). You need to love in order to understand, and to feel in order to take action, to the detriment of a certain vulnerability against which you should learn to fight. Esther Rochon, Fire is dominant in your natal chart and endows you with intuition, energy, courage, self-confidence, and enthusiasm! You are inclined to be passionate, you assert your willpower, you move forward, and come hell or high water, you achieve your dreams and your goals. The relative weakness of this element is the difficulty to step back or a kind of boldness that may prompt you to do foolish things. The Mutable mode is the most emphasized one in your natal chart, Esther Rochon, which indicates a mobile character that is curious and thirsty for new experiences and evolution. You are lively and flexible, and you like to react quickly to solicitations, but don't confuse mobility with agitation, since this is the danger with this configuration - and with you, stagnation is out of the question. Security doesn't matter as long as you are not bored. You optimize, you change things, you change yourself... all this in a speedy way. The three most important planets in your chart are Jupiter, the Moon and Venus. In your natal chart, the three most important signs - according to criteria mentioned above - are in decreasing order of strength Cancer, Pisces and Sagittarius. In general, these signs are important because your Ascendant or your Sun is located there. But this is not always the case: there may be a cluster of planets, or a planet may be near an angle other than the Midheaven or Ascendant. It may also be because two or three planets are considered to be very active because they form numerous aspects from these signs. After this paragraph about dominant planets, of Esther Rochon, here are the character traits that you must read more carefully than the previous texts since they are very specific: the texts about dominant planets only give background information about the personality and remain quite general: they emphasize or, on the contrary, mitigate different particularities or facets of a personality. A human being is a complex whole and only bodies of texts can attempt to successfully figure out all the finer points. Your sensitivity is all on edge, Esther Rochon, and your emotions so deep, your imagination, so lively, that you are often found in the sweet realm of dreams. You create your own fantastical world with entangled fragments of current reality, romantic souvenirs and hidden hopes. Your receptiveness is so intense that it may border on mediumship or, more disturbing and rare, you may have hallucinations. Your character fluctuates according to the stimulation of the moment but in general, you are a nice person, full of gentleness and romanticism, always ready to understand and to dedicate yourself. You have real healing powers, would it be only through your ability to instinctively understand other people's sufferings. Your affective structures can be likened to a roving radar. You are vulnerable, hurt by the slightest aggression and easily influenced because you are unable to step back from people and events; therefore, you may start to be doubtful and lose the self-confidence that you so badly need to progress. Your intelligence is sensitive and delicate, with good comprehension abilities, Esther Rochon, which endows you with a strong intuition and receptivity. To you, impressions and feelings prevail over facts and your excellent selective memory is not cluttered with useless elements. Although you are not aware, your fertile imagination may lead you to change your daily reality so that it matches your dreams better. If you are creative, you may make use of your imagination in literary pursuits where you can freely invent beautiful stories taking place in the past. Your passion for History is such that you may immerse yourself into it with too much nostalgia and therefore, you may miss opportunities the present offers to design projects and to think of the future. You are sensitive, vulnerable and tender at the same time, Esther Rochon. When you love, you give your entire affection and your partner may in all confidence rely on a long-lasting and reassuring relationship. You are so calm and so tender that you think that it is enough to win over your partner's heart, and you are often right. However, do not mix up giving and receiving. You so deeply need to receive love in return that you may be too passive and in the long run, as you become demanding, you may show immaturity. Security and sustainability in your relationship are of utmost importance. Your family also is important, it is the refuge, even the sanctuary, where you like you hide when things go awry. You also dream of love, may be too much, and it may be detrimental to what might be concretely experienced if you were more dynamic or less fearful to get hurt. However, remember that you receive only as much as you give. Esther Rochon, you skilfully make use of your energy and you are like the arrow that reaches its target with great precision: with piercing eye and sharp mind, you take action meticulously and efficiently. Like the surgeon with his scalpel, you know exactly what you want and you belong to the category of specialists, not the generalists. Critical, pernickety, extremely organized, you want to foresee and to analyze. You prefer to master your business too well rather than not enough, even if you must put a huge, sustained, long lasting effort into it. Sexually, you remain fanatical about cleanliness. You may be prone to fantasies such as fetishism. Your love life is fine if you avoid the unforeseen events that you loathe. This text is only an excerpt from of Esther Rochon's portrait. We hope that it will arouse your curiosity, and that it will prompt you to deepen your knowledge of astrology, as well as to visit and use the wide range of free applications at www.astrotheme.com. Your Life Path is influenced by the number 1, Esther, which often prompts you to have an active and sometimes original life. 1 is the number of creativity and indicates individual destinies which are achieved at the cost of personal efforts because, although the path may lead very far, it climbs steeply upwards. You need to learn to manage your life with a strong willpower while using your own resources. It is most likely that you reach the best of your possibilities if you choose a free-lance occupation, or anything which allows a lot of personal initiatives. You really need freedom of action. You prefer to innovate rather than to follow the trend, and to create rather than limiting your activities to repetitive tasks. Thus, your life may be theatre of spectacular twists and turns, all the more so because the more you progress, the more your indecisiveness fades away. In such conditions, it is necessary that you strive to maintain a minimal degree of stability in the course of your life.